Hey there! Thanks for dropping by apiratelassponders! Take a look around and grab the RSS feed to stay updated. See you around! Good day to you fellow blog adventurers and wandering readers! I thought today, I’d share with you something I’d written, just for fun of course, based on a song that inspired my vivid imagination. Often times when I hear a song, I’ll close my eyes and a story will play along with it in my head, just like a movie. I find it a fascinating exercise to write what I see, let the song, the tone, the rhythm lead the writing. In this particular piece, I happened to be listening to Taylor Swift’s Speak Now, when a scene between myself, and often the subject of my daydreaming, Mr. Draco Malfoy unfolded in a splendid, dramatic fashion. It is well known that JK Rowling, herself, said Draco Malfoy married a fellow pureblood Slytherin, a year his junior named Astoria Greengrass. However, apparently, my mind remembered the events much differently and here is the concoction it has created. I hope like me, you will find it much more appealing than the way it was actually recounted, and I encourage you to listen to songs you really enjoy, feel the music, and let your own stories spring to life in tune to the music. Astoria Greengrass fairly glided down the aisle, her floor length platinum blonde hair was mostly piled in graceful curls atop her head, while the rest fell down to the middle of her corsetted back. Her wedding dress was pretty but it was garish with outrageous layers of ruffles and white silk bows. As she floated forward, her frosted cupcake of a gown trailing behind her, my eyes turned to the incredibly handsome man waiting at the alter. 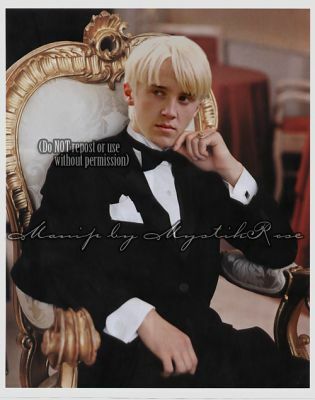 Draco Malfoy looked more like he was attending his own funeral than his own wedding…. The organ that had been brought into Malfoy Manner rang out with a song, sounding like a death march. She was the one they had picked for him. The prim, perfect pureblood with the right family, the proper superior look. She was more suitable for their Slytherin Prince than the sweet girl that had been raised as a muggle, whose pureblood parents knew nothing of magic. His somber eyes met hers for a moment, these eyes that used to sparkle with boyish mischief, were now dark and clouded with complacency. These eyes were wishing for a different girl to be walking towards him. 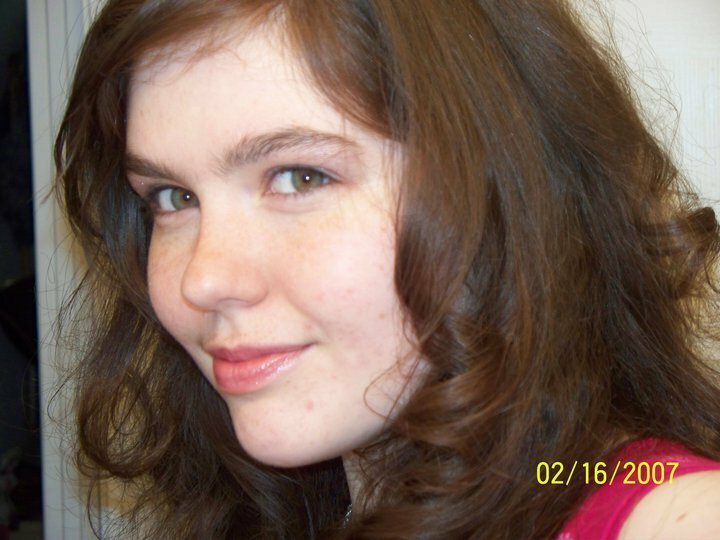 The curly hair was supposed to be a rich dark brown, the eyes a sweet emerald green. Astoria smiled at him, but no love warmed her thin lips. I swallowed hard, knowing what was coming, knowing what I was going to do. I heard the preacher say “Speak now, or forever hold your peace,” and a silence washed over the room. My peace would not be held, and the lie would not be lived. I stood up slowly, my hands shaking, listening to the gasps echoing from around the grand room. All eyes now stared horrified at me, the intruder, an uninvited guest if ever there was one. However, my eyes did not see Lucius, Bellatrix, or Narcissa….. my eyes saw only him and I breathed deep, as wondrous recognition gave life to his sorrowful face. “I have good reason why these two should NEVER be married,” I said caught between the threads of laughing and crying as the tenderness and joyful surprise of his gaze held me. “I’m madly, hopelessly, and fantasticly in love with the groom!! !” Now I did burst into tears, and I saw his own eyes, those wondrous sapphire eyes, so full of love and longing tear up with the realization that I had never left him! I stood there looking perfectly out of place in my muggle clothes, a pink t-shirt and jeans, and even under the furious stares of the wizarding world’s elite, I felt wonderful as I ran to him, my face glowing! He caught me in his warm embrace, fighting back the tears, pulling me ever tighter, a bright deliriously happy grin chasing away the shadows of his sorrow. “Ally!” He struggled to get out my name as his arms tightened around me. The scream that came from Astoria’s little mouth was almost not human. She gathered up her vast skirts and hurried off to her parents, ranting and raving about her wedding being ruined and never getting what she wanted. I closed my eyes as the scene fell into utter chaos, But when I looked into my malfoy’s soft blue eyes, I could hear none of it. She smiled at him, but no love warmed her lips. 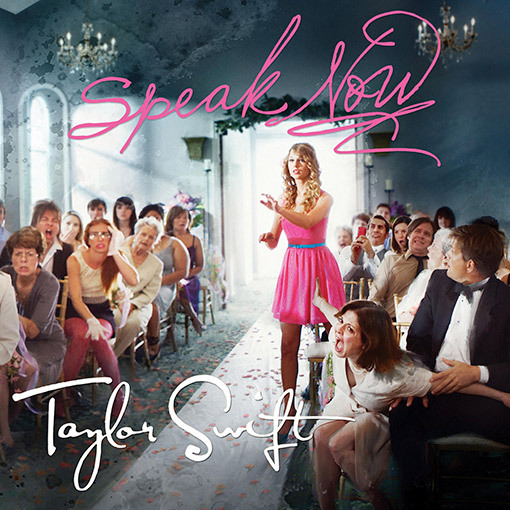 "Aren't you glad I was around when they said, Speak Now?"